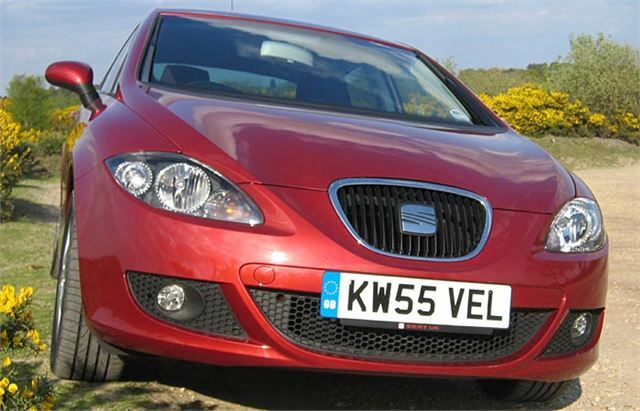 The look of the 2006 SEAT Leon is down to Walter d’Silva. He designed the Alfa 156 and 147. Opening the garage doors to one of those is a bit like waking next to the face of a woman so beautiful you forgive her almost anything. Which can be the case with these Alfas. 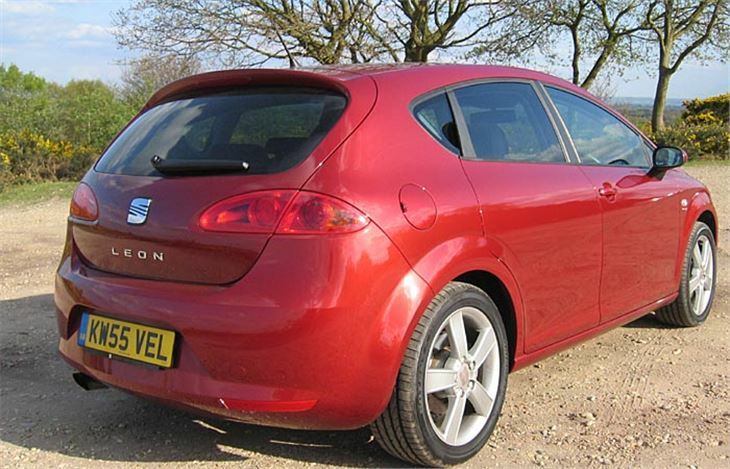 Walter was tempted away to SEAT, a few months before the launch of the original Leon, but too late to influence its styling. That car’s beetleback, Alfasud shape, like the hunched, racy look of the 2nd generation Toledo, had nothing to do with d’Silva. 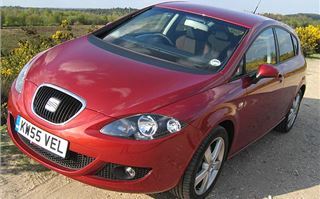 The first SEAT to bear his touch was the Ibiza launched in 2002. Then we started to get tantalising glimpses of a new generation of d’Silva SEATs, showcased by the Salsa concept car in 2002. 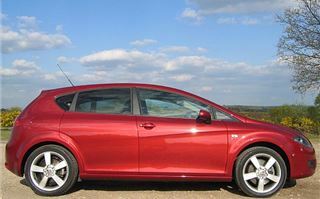 That first morphed into the Altea MPV and I wondered what had happened to it. Then the disappointing, lardy-arsed 5-door Toledo that looked like the taxi it has become all over Iberia. We had to wait until last year for the car the Salsa was the true precursor of. And I forced myself to hang on until the 2.0TFSI before driving it, because I didn’t want to be disappointed. 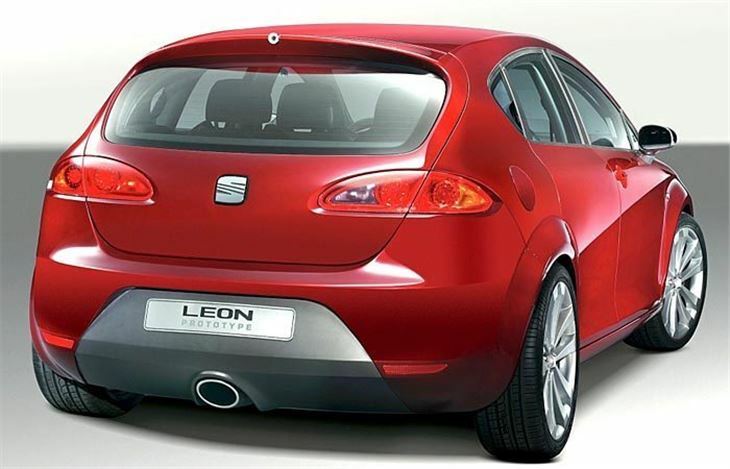 One thing is for sure: the new Leon is colour sensitive. My test car came in ‘Rubi red’ metallic, not very different from my old 20VT Sport. And while it looks wonderful from some angles, it doesn’t work so well from others. 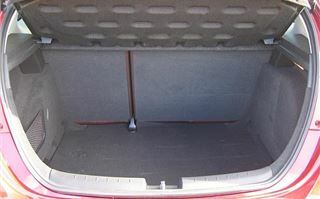 The high slab sides and low roof are supposed to elongate it, but from the rear three quarters it can look a bit dumpy. 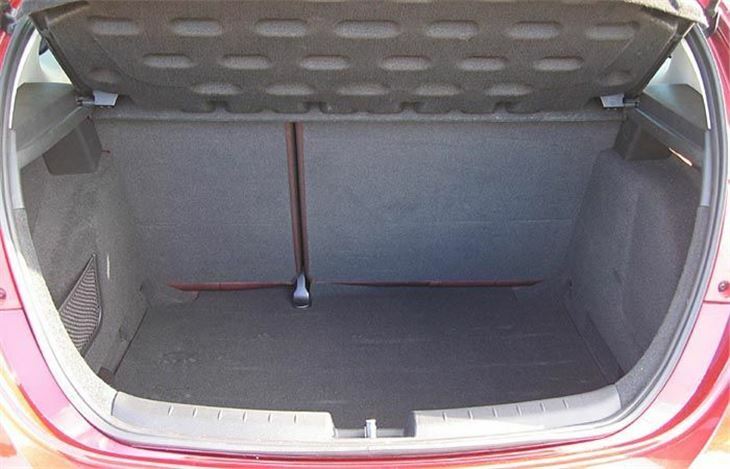 It shares d’Silva’s trademark hidden rear door latches. It doesn’t quite have the bigness of screen and shortness of body of the Salsa. Yet its looks work best from the front, front three quarters and side. Well enough to raise a smile of satisfaction when you open those garage doors. You can congratulate yourself for saving £4,000 on a Golf GTI for almost the same car in a sharper suit. And with d’Silva’s unique tuckaway wipers that park themselves vertically in the A pillars. It’s surprisingly spacious inside. Plenty of head and legroom, even for piggy in the middle in the back. The minimalist dash is like a cliff-face of grey plastic, for the good reason it does not reflect in the huge front screen. The neat little A pillar windows actually work and prevent blindspots at the front when emerging from junctions. The engine pulls smoothly and strongly to 100 with no trace of turbo lag, just like a Golf GTI 2.0T. The gearchange and cornering grip are good too. But if I owned one I’d whip it straight into a VAG dealer and have the steering weight re-set heavier via the OBDII port. 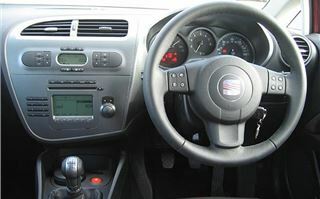 As mine came, it was too light and feel-free but all current VAG electro hydraulic steering can be re-set by the garage to six different levels of assistance. Despite the feel free steering the car doesn’t disappoint in the corners. It can be pushed really hard before it starts to understeer, and tells you exactly when that is about to happen. Even on 17” alloys with 225/45 tyres ride quality is okay. The seats are comfortable. The engine is wonderfully flexible and with 25mph per 1,000 rpm in 6th you can leave it on cruise through the roadworks. The cruise works better than in most other cars because the buttons are on the indicator stalk and respond quickly so you can easily slow on the cruise from 70 to 50. It resets quickly too. You get lots of kit too. Dual front climate control, electric folding mirrors, fogs, CD radio, trip computer, leather steering wheel cover, airbags all over the place. The only thing I missed was satnav. Over 229 miles I got at least 31mpg, maybe more. So it gets a fairly enthusiastic nod. 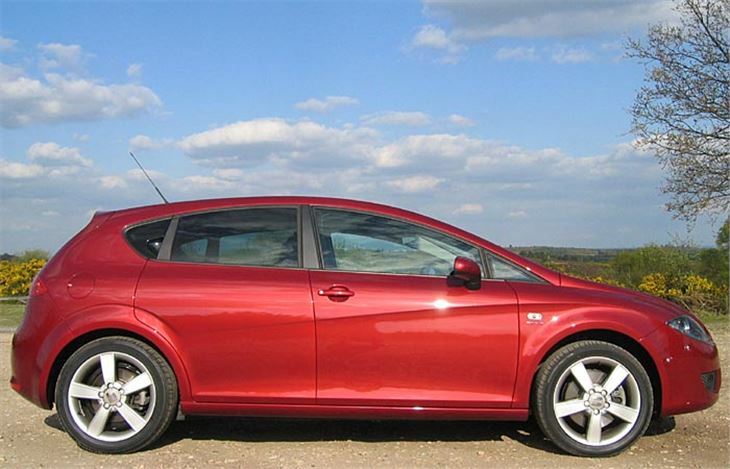 It’s quick, flexible, economical and practical and good looking. Like the old model, I could live with one for a year.